One of the main reasons for which this study has been written is that there is no such paper in English addressing the historical curve and actual problems of non-governmental/nonprofit sphere. 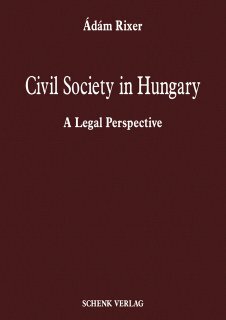 The present paper deals with the characteristics of Hungarian civil/non-profit society. The paper focuses on the legal aspects of this topic, but at the same time it takes in consideration the results and the perspectives of other sciences as well. The aim of this volume is to promote the perspectives of scholarly examination of the legal norms regulating the civil society giving viewpoints for research and offering new ways of approach. We consider that besides the presentation of the institutions and phenomena of the civil society, it would be interesting to focus on the characteristics of those areas and Domains that have not been treated despite their significance (such an area would be the situation and problems of Hungarian civil societies existing across the borders of Hungary, the role of the churches in the non-profit sector, the problems of the gipsies’ civil society in Hungary).